CoMSEF is soliciting nominations for the 2012 CoMSEF Impact Award, which recognizes outstanding research in computational molecular science and engineering by a member of CoMSEF. Previous award winners include Ed Maginn (2009), David Sholl (2010), and Bernhardt Trout (2011). Nominees for the 2012 award may hold positions in academia, industry, or a national laboratory, and must be within 15 years of completion of their highest degree. Candidates earning PhD degrees from 1997 onwards are award eligible. Nominees must be current members of CoMSEF. A nomination package consisting of the nomineeâ€™s CV, a nomination letter and two supporting letters of recommendation should be sent as a single file in pdf format to the CoMSEF Chair, Kristen Fichthorn (fichthorn@psu.edu). The nomination should provide a clear statement as to the impact of the nominees work on the field and an award citation of 25 words or less, beginning with the word 'For'. Self-nominations are discouraged. 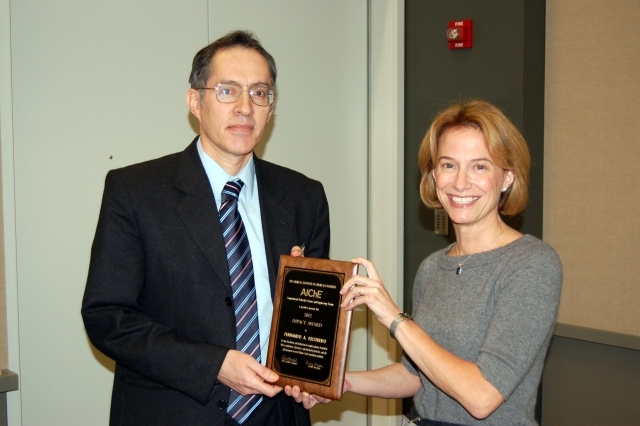 The deadline for receipt of nominations will be May 1st for the 2012 award with the recipient being announced prior to the Fall AIChE meeting. Please note that re-nomination of candidates is encouraged. It is recommended but not required that the contents of the nomination package be updated each year; while supporting letters may be re-used, the nomination form must have current dates. The award recipient will be chosen based on the overall strength of the research accomplishments of the candidates by an ad hoc selection committee consisting of the current CoMSEF chair, the CoMSEF vice-chair and two representatives drawn from related organizations (e.g., area 1a committee, CACHE trustees). Please contact Kristen Fichthorn (fichthorn@psu.edu) with any questions regarding eligibility or the nomination process. During the fall of 2011, we elected two new Liaison Directors. Congratulations to the newly-elected officers and thanks to all who participated! 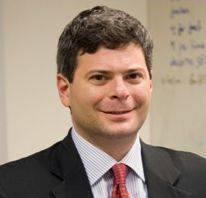 The CoMSEF Executive Committee is pleased to announce that Professor Bernhardt Trout of the Massachusetts Institute of Technology has been selected as the recipient of the 2011 CoMSEF Impact Award. This annual award recognizes outstanding research in computational molecular science and engineering and will be given to Bernhardt during the CoMSEF General Meeting at the AIChE Annual meeting in Minneapolis. He will also present a talk on his research at the CoMSEF Plenary Session at the AIChE Annual meeting. Bernhardt is the Director of the Novartis-MIT Center for Continuous Manufacturing, Co-Chair of the Singapore-MIT Alliance for Chemical and Pharmaceutical Manufacturing, and a Professor of Chemical Engineering at MIT. He received his Bachelor's and Master's degrees in Chemical Engineering from MIT and a PhD in Chemical Engineering from the University of California, Berkeley. Bernhardt has made important contributions to the development of new computational methods, which he has then applied to the solution of important pragmatic problems; most notable is the impact of his work on the manufacture of pharmaceuticals. 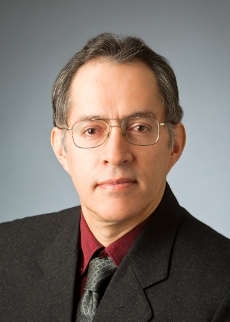 He is receiving the CoMSEF Impact Award "For the development of generally applicable and widely used molecular computational algorithms and their use to obtain new mechanistic understanding of industrially relevant problems." CoMSEF Impact Award recipients must be within 15 years of completion of their highest degree and be current members of CoMSEF. 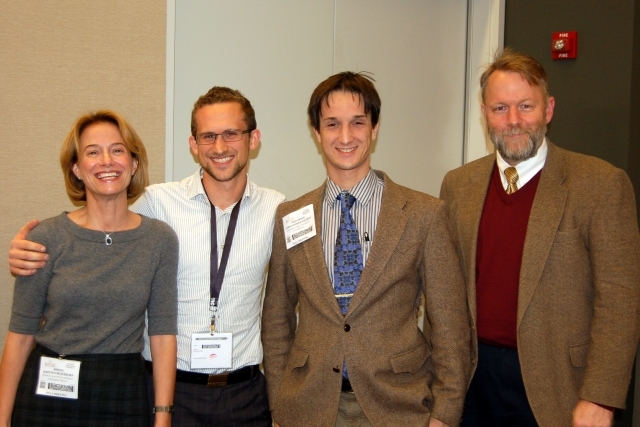 During the fall of 2010, we elected a Vice-Chair and two new Liaison Directors. Congratulations to the newly-elected officers and thanks to all who participated! 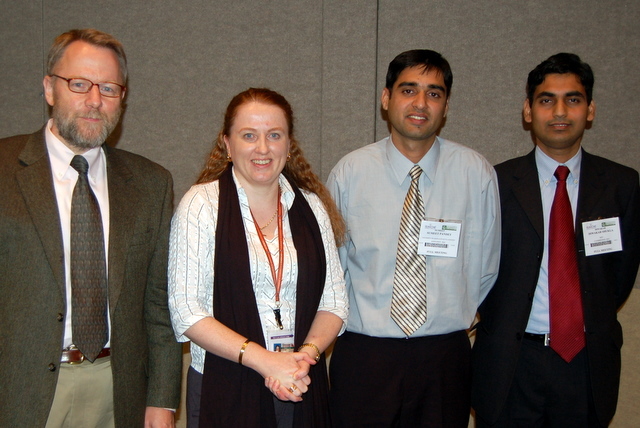 The results of the Sixth Industrial Fluid Properties Simulation Challenge were announced at a special session sponsored by CoMSEF at the AIChE Annual Meeting in Salt Lake City in November 2010. Entrants were challenged to predict the mutual solubility in liquid-liquid equilibria of water and a glycol ether (PROGLYDE DMM TM) as a function of temperature. Unlike most organic solvents, glycol ethers and glycol diethers exhibit an â€œinverse solubilityâ€ relationship with water. They are used in a wide range of product formulations and industrial processes. For example, they are used as solvents and co-solvents in both organic- and water-based formulations for applications such as cleaning solutions, paints, coatings, and inks. A variety of other novel applications have been proposed that take advantage of the inverse solubility behavior. Seven entries were received, and they were judged based on comparison to experimental data provided by The Dow Chemical Company. J. Reinisch, A. Klamt, F. Eckert and M.Diedenhofen (COSMOlogic) were named Champions. P. Bai and J.I. Siepmann (U. Minnesota) were named Runners-Up. S.-T. Lin, L.-H. Wang, W.-L. Chen, P.-K. Lai, and C.-M. Hsieh (National Taiwan University) were named Honorable Mention. The other four entries were honored for participating: T. Koddermann, K. N. Kirschner, J. Vrabec, M. Hulsmann, D. Reith (SCAI; U. Paderborn); A. Vahid , F. S. Emami , E. Moharreri, J. R. Elliott (U. Akron); T. Cheng, F. Li, J. Dai, and H. Sun (Shanghai Jiao Tong University); and L. Zhao, C. Wub, and N. Huang (National Institute of Biological Sciences, Beijing, China; Washington University). Thanks to all who participated in planning and judging the challenge and to the entrants! It is anticipated that a 7th challenge will be planned for 2011. Nominations should consist of a nominating letter from the student's research advisor and the curriculum vitae of the nominee. These should be sent by the advisor via e-mail in pdf format to the CoMSEF Chair (c.mccabe@vanderbilt.edu) by October 1. In addition, nominees must present a poster at the CoMSEF Poster session at the AIChE annual meeting. The nominee must be a graduate student at the time of the poster presentation, and the faculty nominator must be a member of CoMSEF. the quality of the poster presentation.